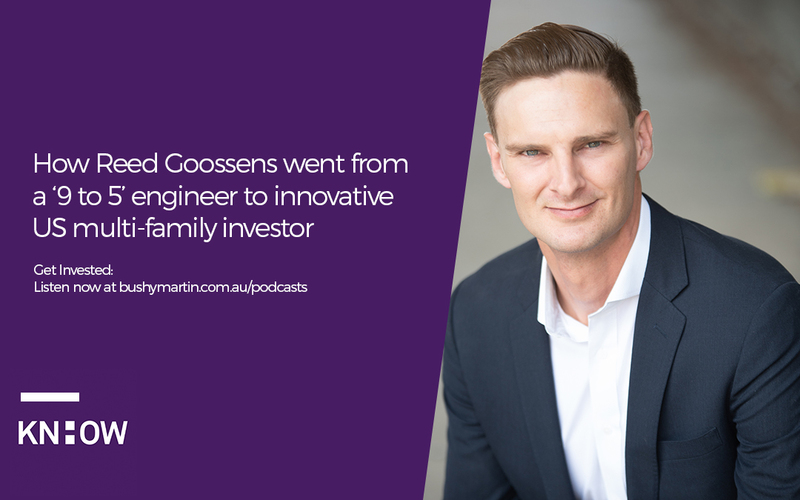 Our guest Reed Goossens has mastered an investment opportunity where many others have only achieved mediocre results. If I could show you a low risk, high return property investment opportunity that can give you an 8% net cash on cash return per year (compared to the current average of 3-5%) that also gives you strong potential to double your money in just 5-7 years with as little as $50k down, would you be interested? Well this is exactly what Reed, from RSN Property Group, has personally achieved and he is now helping other like-minded, time poor professional Aussie investors to enjoy. Reed is a project structural engineer from Queensland turned successful property investor whose business now controls the equivalent of over $100 Million in Aussie dollars in rental property. His innovative, multi-family syndication model is delivering low risk, high return and high growth results superior to anything that I have seen in Australia. In fact his investment model looks so strong that I am personally looking to invest with him. Where does he do it? Who is best suited to benefit from this style of property investing? What are the pros and cons, rewards and risks? How can you find out more and/or get involved? You’ll find out all of this plus a whole heap more in this very interesting chat with Reed Goossens. Listen and subscribe via Apple Podcasts, Spotify, PlayerFM, search Google Podcasts or the player below. Get Invested is the podcast dedicated to time poor professionals who want to work less and live more. Join Bushy Martin, one of Australia’s top 10 property specialists, as he and his influential guests share know-how on the ways investing in property can unlock the life you always dreamed about and secure your financial future. Remember to subscribe on your favourite podcast player, and if you’re enjoying the show please leave us a review.